The Vancouver Whitecaps play host to their rival Seattle Sounders in the start of the Cascadia Cup following a two week absence on home turf in front of 24,803 fanatic fans. The Whitecaps are thrilled to have former Sounder FC leading scorer Freddy Montero who managed to collect his first goal of the 2019 season in Houston and has scored three goals against his former club in three regular season matches. The stadium crowd are filled with excitement that also has a strong fan support on hand filling the top section to the left of the broadcast booth. 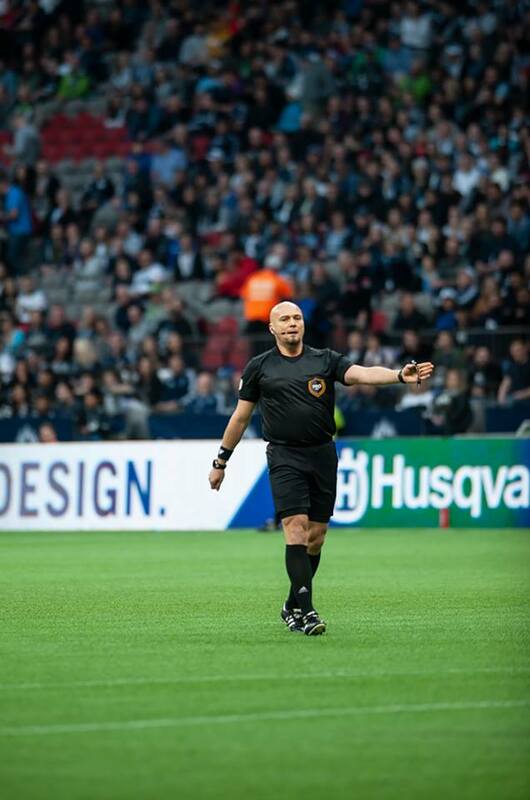 Game official for this match is Polish Referee Robert Sibiga who made his MLS debut in 2015 as the LA Galaxy played host to the Columbus Crew and was selected to referee the 2018 MLS All-Star game, so credentials are something no one should have to worry about. 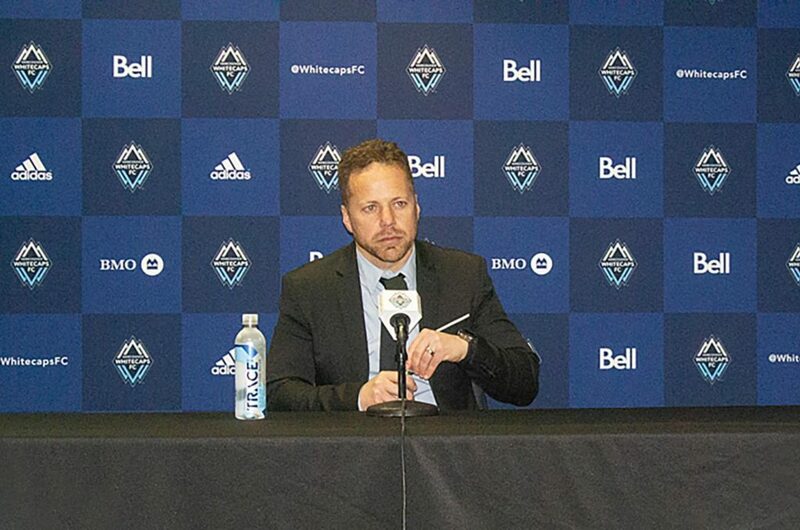 Through three games this season in MLS play the Sounders are a perfect 3-0, while the Whitecaps sport a record of 0-3 on the season with nowhere to go but up. 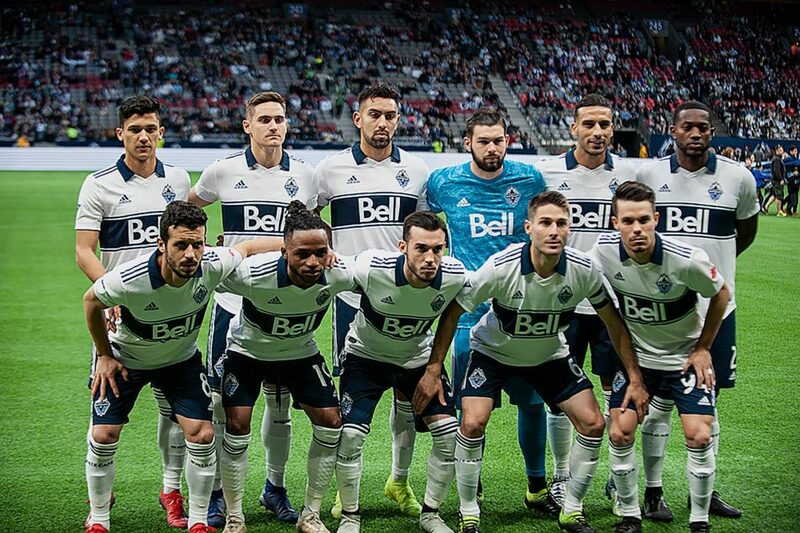 It’s interesting to note that neither team played this past week with the Whitecaps last match was against Houston in a 3-2 losing effort, while the Sounders defeated the Chicago Fire by a 4-2 road win. 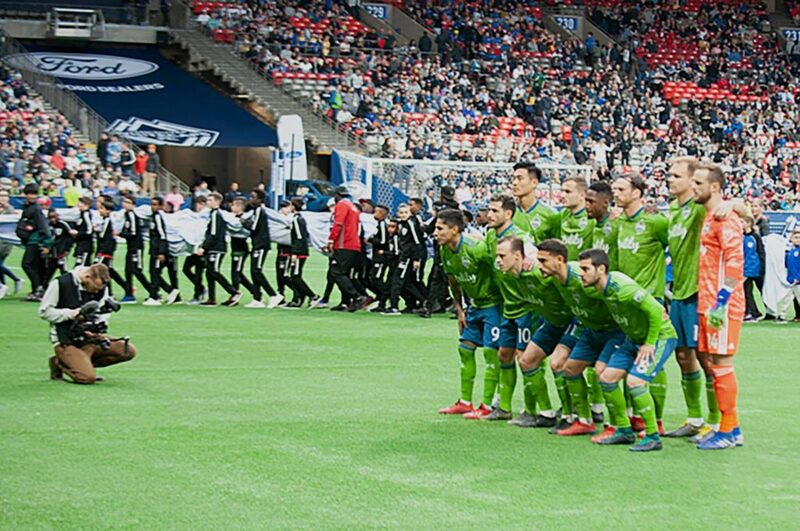 Both the Sounders and the Whitecaps have met more than any rivalry in soccer history in the US and Canada. Since the first meeting dating back to the day’s at Vancouver’s Iconic Empire Stadium June 9th, 1974, in the old North American Soccer League (NASL) they have played 135 times across all competitions. 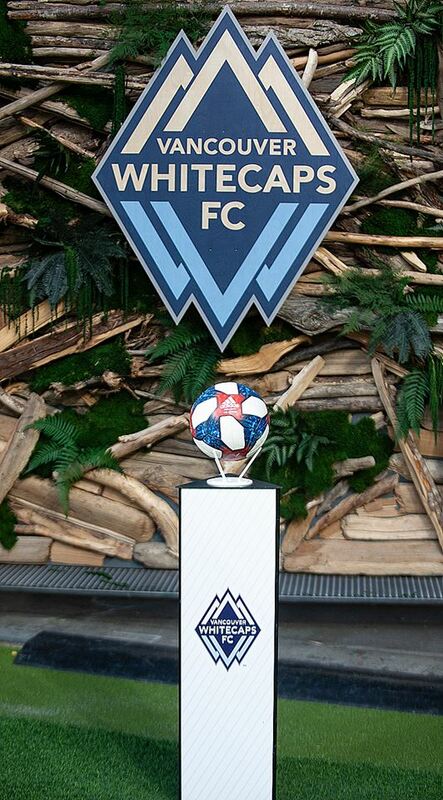 The Sounders have won 65, the Whitecaps 49, and there have been 21 draws, but this match would require added time in hopes of pulling out a winner. 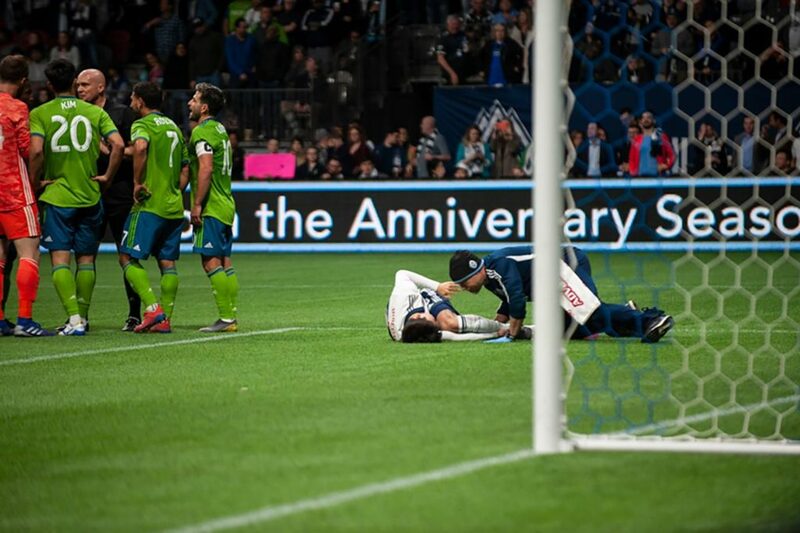 Controversy in added time saw Sounders Centre back Kim Kee-hee tagged for a foul for taking pulling down Inbeom Hwang well inside the box while on a rebound attempt forcing video review, which was eventually overturned. The match between Kim and Hwang marks the first time in history that two South Korean players faced each other in MLS play. 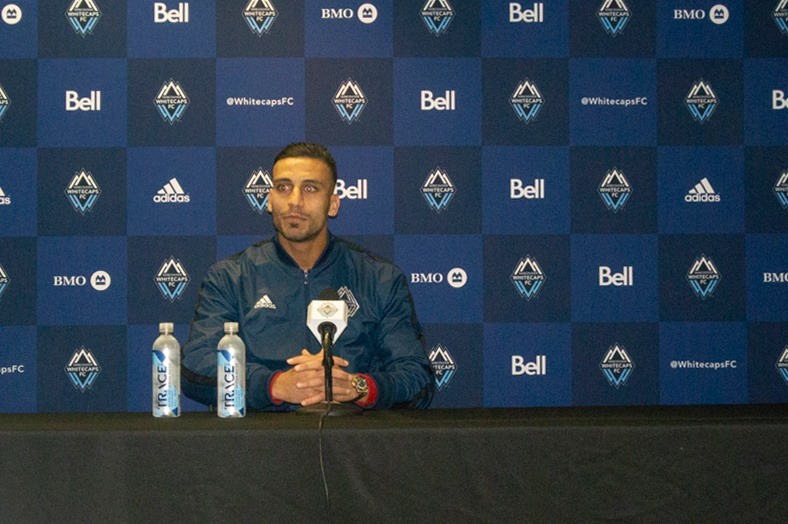 To the delight of the fans, Ali Adnan Iraqi international left back made his debut put on display his speed and overall talent keeping Sounder Jordan Morris and Victor Rodriguez off the board. Both have had an impressive start to the season as they both have combined for four (4) goals as well as three (3) assists for the Sounders impressive 3-0-0 start. 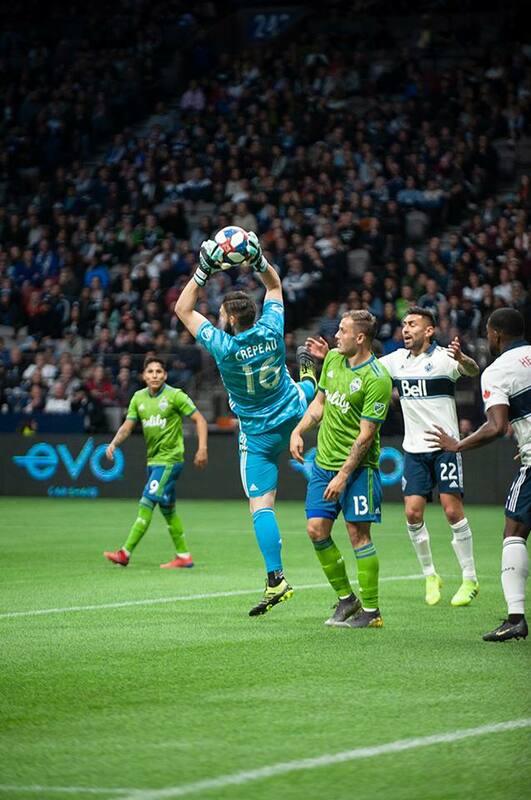 Whitecaps “tender” Maxime Crepeau registered his first shutout, er-clean sheet with one being an impressive diving save in the 64th minute managing to turn aside a bullet off the foot of Gustav Svensson as well as a free kick in the final minutes from Rodriguez. 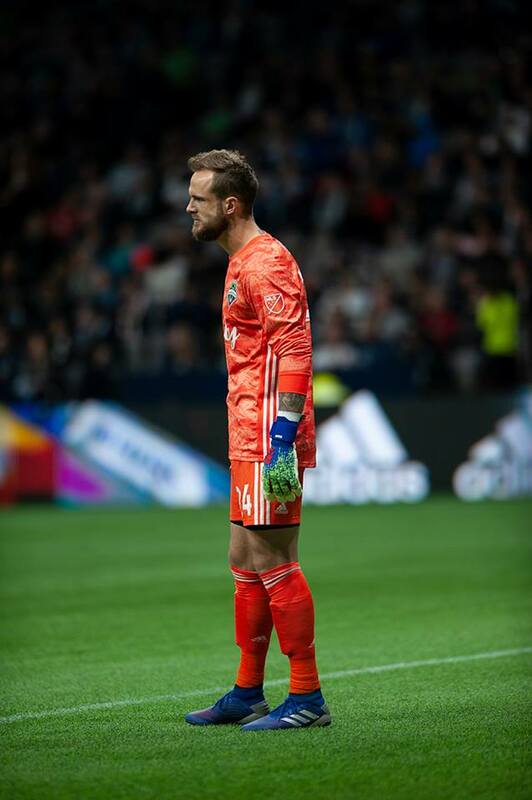 Sounders “tender” Stefan Frei managed three saves one that saw him turn aside a shot off the foot of Joaquin Ardaiz which resulted in the video review call. 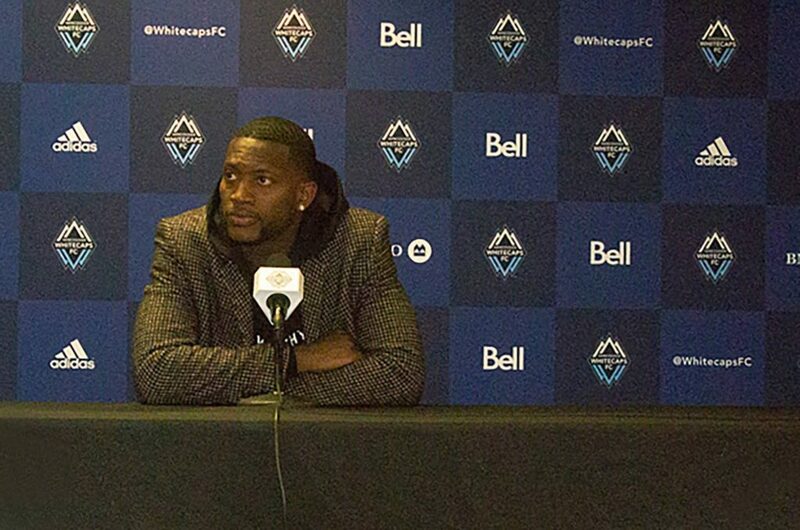 The Whitecaps play host to the LA Galaxy April 5th with the kick-off set for 7 pm at BC Place.